...but I would really rather just call them zig zags. 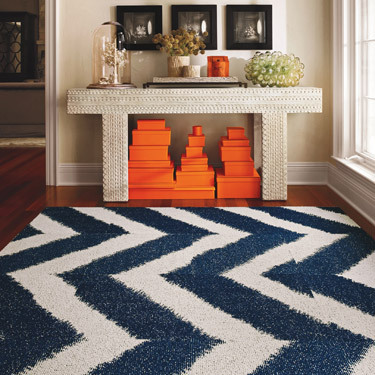 This bold zig zag stripe makes me happy, long for hardwood floors to dress, and dream of more kids' rooms to design! Still not enough chevron? 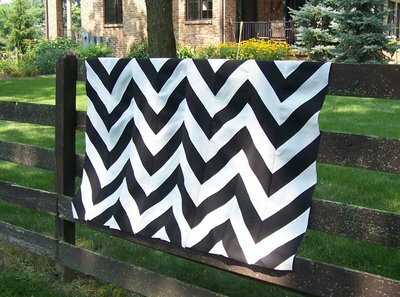 Check out the chevron love post by simple song. @ sara - isn't that orange tray fabulous!? ohhh and this awesome blogger once bought a cheapo white ikea rug and painted on her own black chevron stripes. amazng, right?